Chef Zeb Stevenson is planning to open his first restaurant, Redbird, with partner Ross Jones in the summer of 2019. 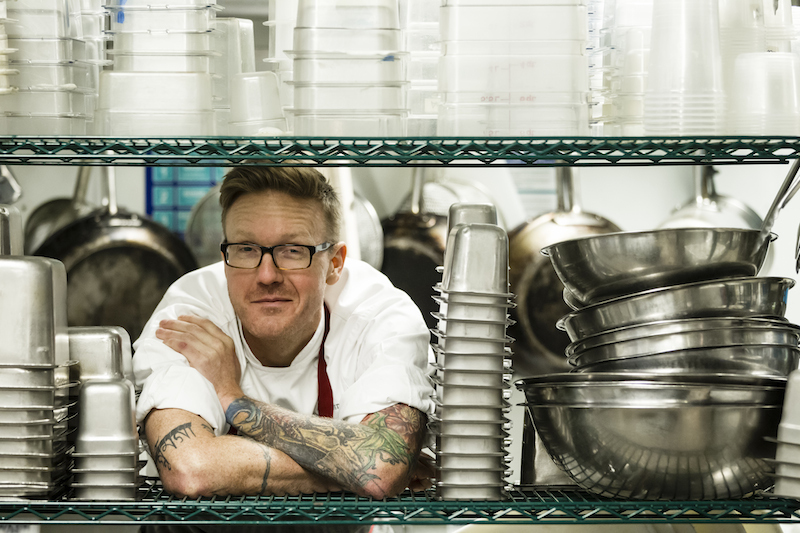 The two met when Jones, who cofounded Watershed in 1998 with Emily Saliers of the Indigo Girls, hired Stevenson as its chef in 2014. In April, Jones sold the James Beard Award-winning, Southern-inspired restaurant to chef Matt Marcus. Stevenson and Jones will open Redbird in the former Bacchanalia space at Westside Provisions District, but the vibe will be different than that of the fine-dining behemoth, which relocated about a mile away (into more casual digs). The restaurant will have a wood-burning hearth, and Stevenson is eager to utilize the old-school cooking method. He plans to serve large-format dishes including a whole roasted chicken and a big steak, as well as plates for sharing, such as a sizzling garlic shrimp cazuela served with a “bread pull,” and a socca (a chickpea flour fritter) smeared with garlic jam.